Choose from different type of sizes (A6,DL) and different type of folding option. you can order your card as small as 25 qty up to 10000 qty . 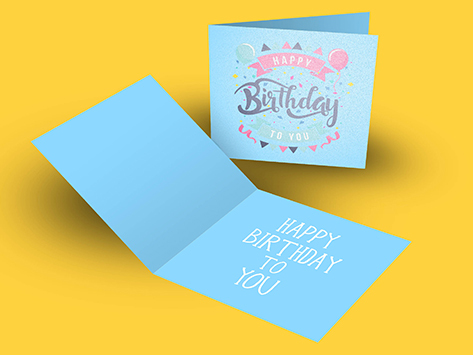 Our premium 420 gsm stock is the most popular stock, with this particular stock we have a matt laminate exterior and uncoated UV cured interior, these greeting cards are perfect for getting your personalised message across with luxury finishes on the front side.